The 5% area is where the risk is significant. 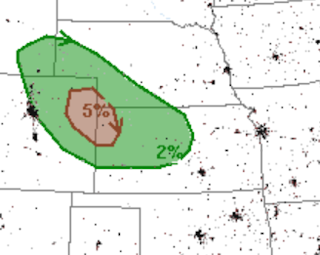 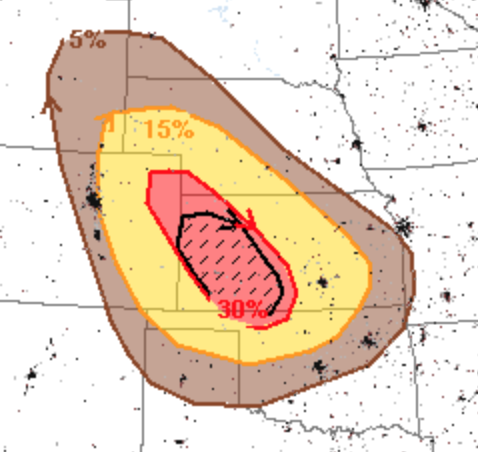 The 15% area is the significant risk area. The hatched area is where winds could exceed 75mph!